"A story becomes universal when something is also personal." The Orchard has released a lovely official trailer for a documentary called Invisible Essence: The Little Prince, an examination of the literary profundity of, and a closer look at the author behind, the beloved book The Little Prince. 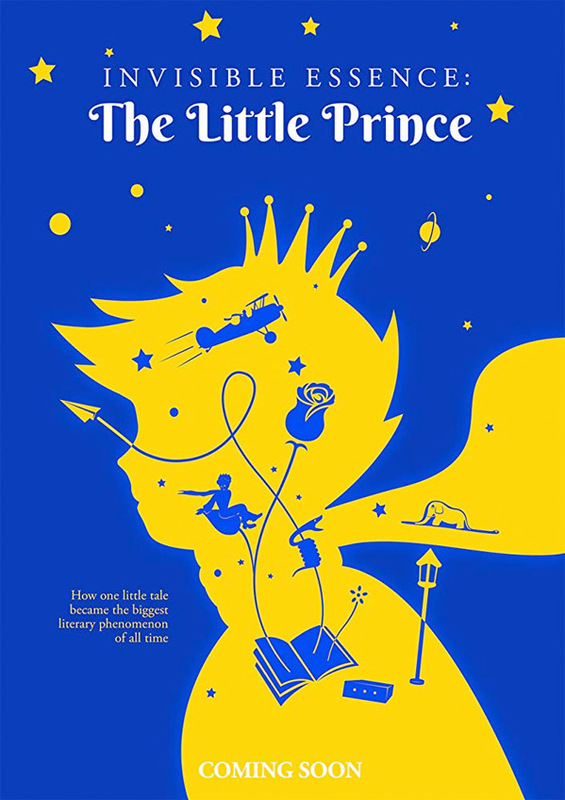 The film presents a fascinating new look into the genius of The Little Prince, published as Le Petit Prince, as well as the life and experiences of French writer Antoine de Saint-Exupéry, who first published the book in 1943. The film features appearances by Rupi Kaur, Mark Osborne, Adam Gopnik, Stacy Schiff, Éric Emmanuel Schmitt, Olivier d’Agay, and François d’Agay. This honestly looks rather wonderful, I'm very curious to check it out. Antoine de Saint-Exupéry's transcendent story suggests an ethical philosophy about life and a universal code of respect for humanity. With every new generation that discovers the fable, the Little Prince's inspiring legacy is cemented. Invisible Essence: The Little Prince is directed by Jamaican-Canadian actor / filmmaker Charles Officer, director of the documentaries Mighty Jerome and Unarmed Verses, as well as the feature film Nurse.Fighter.Boy and a bunch of TV work previously; also a former hockey player. This hasn't premiered at any film festivals as far as we know. The Orchard will release Officer's Invisible Essence: The Little Prince direct-to-VOD starting on October 16th later this month. Who's interested in watching?